Tina Dorr, Ph.D., Esq. 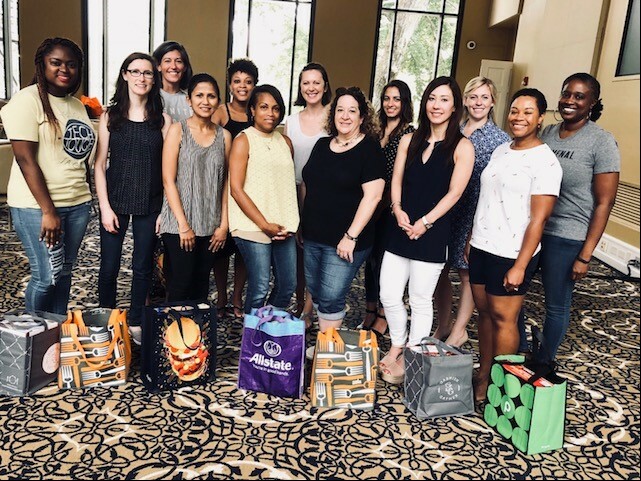 participated in the Georgia Tech Women’s Alumni Network (GT WAN) fall community service event. The group collected and organized items for Georgia Tech’s Klemis Kitchen, Georgia Tech’s campus food pantry that provides free meals to college students in need, and Campus Closet, Georgia Tech’s campus clothing service that provides free business attire to students for job interviews or formal business events. Tina is pictured below fourth from right with other GT WAN volunteers; the bags are filled with food for Klemis Kitchen.